1/2" tube - Ledathane PE Natural, suitable for gas or beer line in your kegging set-up. 1/4" Tube Ledathane PE Natural, suitable for gas or beer line in your kegging set-up. 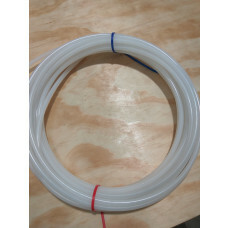 3/16" OD hose / tube Ledathane PE suitable for gas or beer line in your kegging set-up. 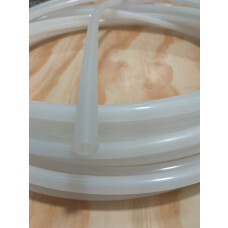 3/8" Tube Ledathane PE Natural, suitable for gas or beer line in your kegging set-up. A 5/16" John Guest plug, to block a 5/16" connection when it is not in use. A new smaller 350ml syphon, great to use with 5 Litre swing lid jars or smaller fermenters. 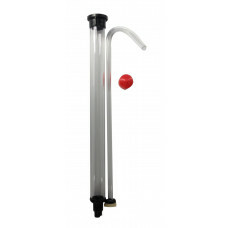 A 580mm Easi-syphon, perfect for automated siphoning. Silicone hose for liquid transfer. It is resistant to constant high temperatures and will handle temperatures above boiling point, and has excellent chemical resistance. The soft silicon is easy to work with and seals very well. Please note that this tube should not be used for pressure above 15psi (such as mains water pressure), and has a burst pressure of around 30psi.